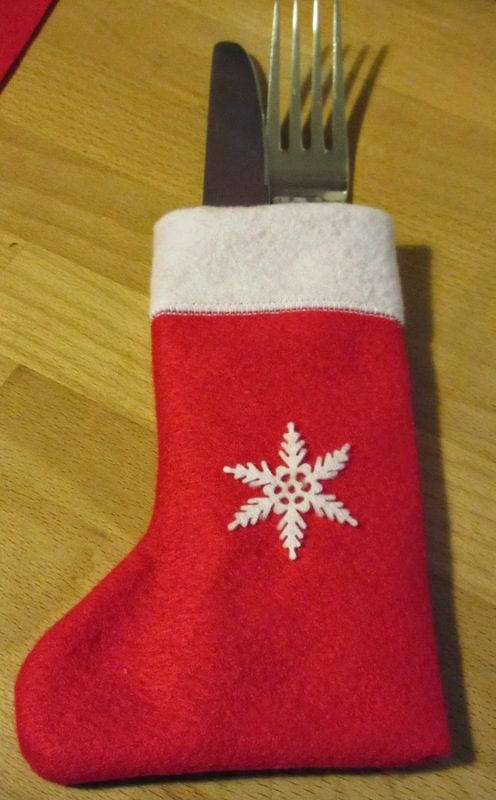 I had all kinds of plans for what I was going to make ready for Christmas but this year I really did run out of time. 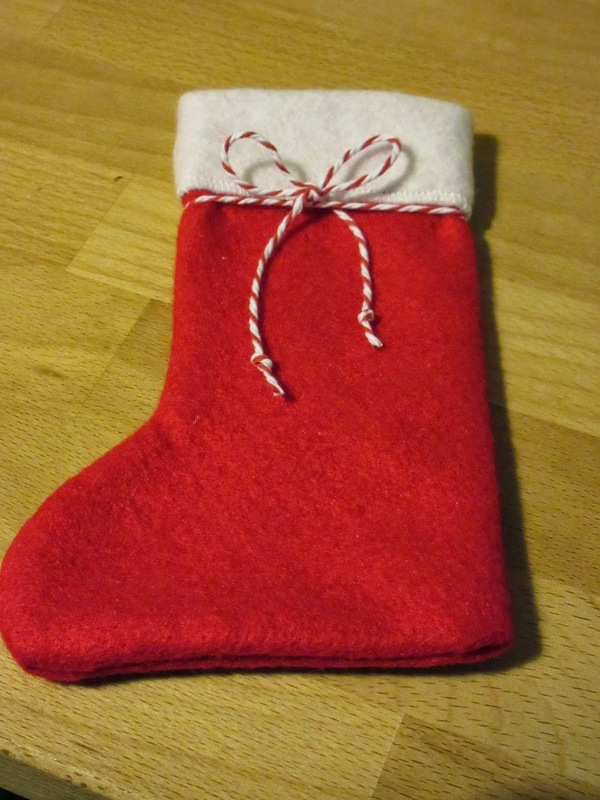 However, there was one item I was determined to make. 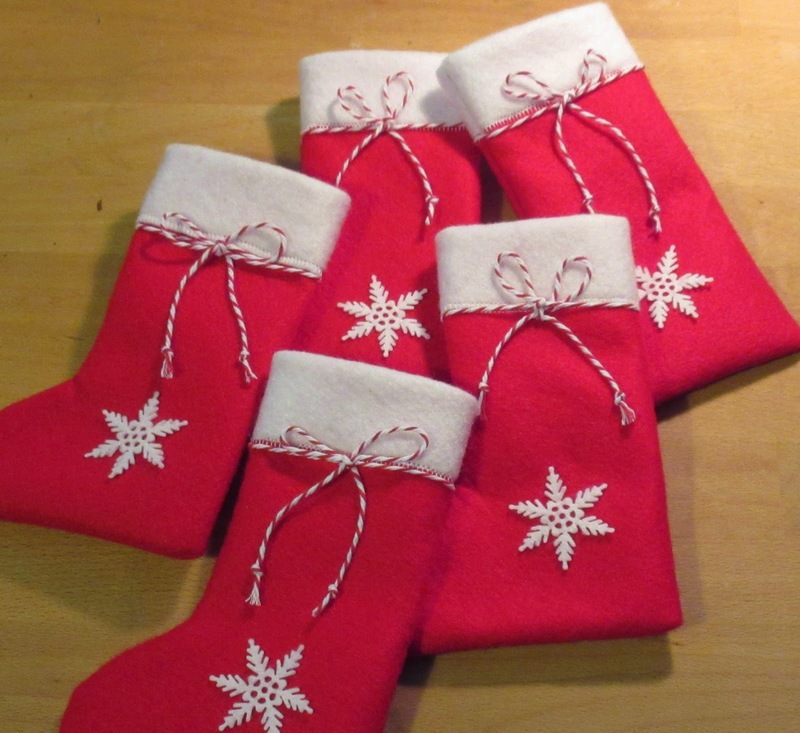 I'd seen knitted Christmas stockings on Pinterest with cutlery inside them set out on Christmas lunch tables but since I can't knit I needed another way... First buy some red and white felt. 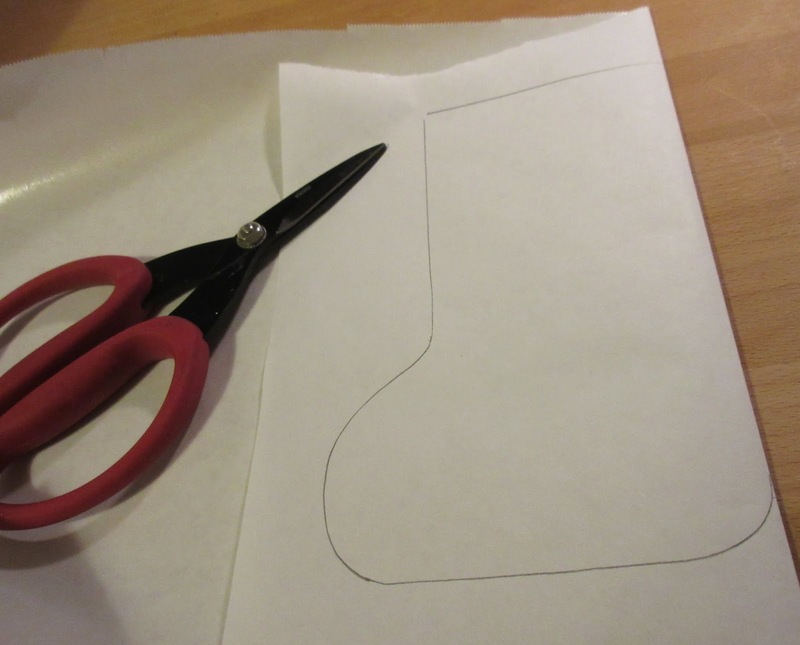 Then draw yourself a sock shaped pattern with the long straight edge on a folded piece of paper. Cut out. 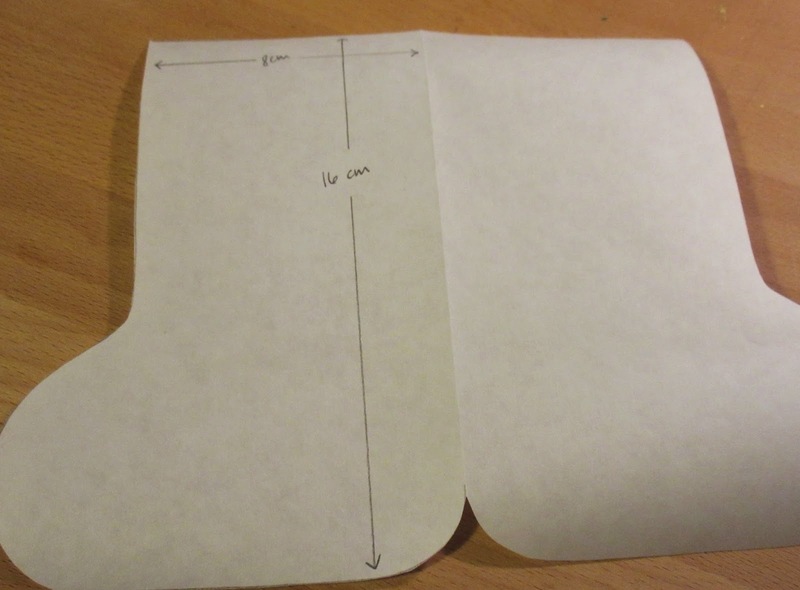 These are the sizes I cut mine to but you go with the size you need. 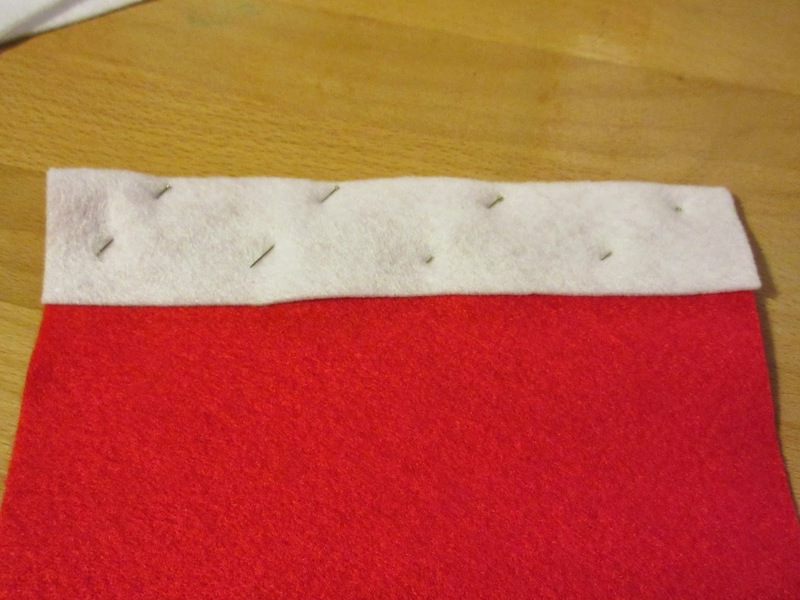 Then pin the pattern to the red felt and cut out as many sets as you need. You can see below I decided against the central cut away of the boot base in the pattern above and just went with a straight cut boot base. 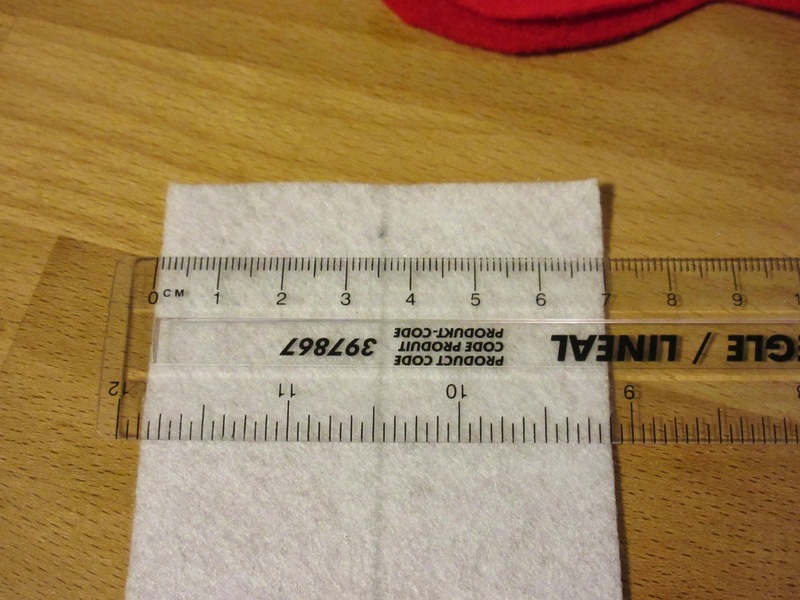 I measured this depth of white felt to form the top of the stocking and cut it to the width of the top of the stocking. 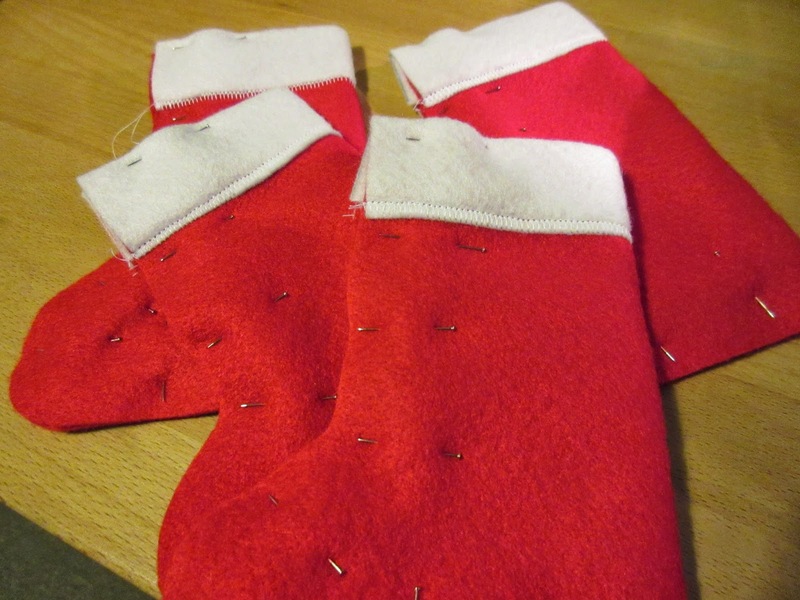 Decide which is inside and outside and fold, pin, sew all around the stocking (except the top opening) and turn the right way out. 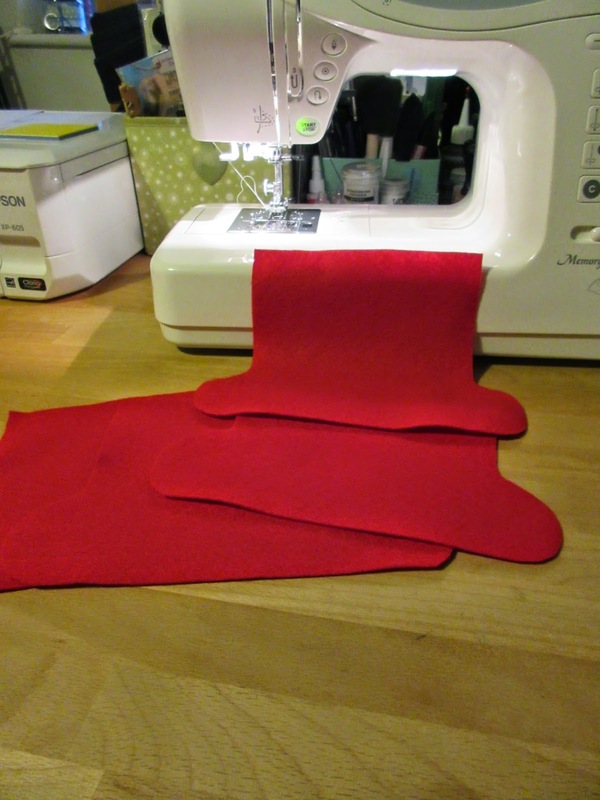 Add some ribbon or butchers twine (which I've used here) or whatever you prefer round the top of the red part of the boot and if needed sew a couple of stitches to hold in place. Here's one where I've added a white felt snowflake and forgotten the twine. Doh. Here's how the final version should look! Fill with cutlery and place beside each setting for your Christmas lunch.